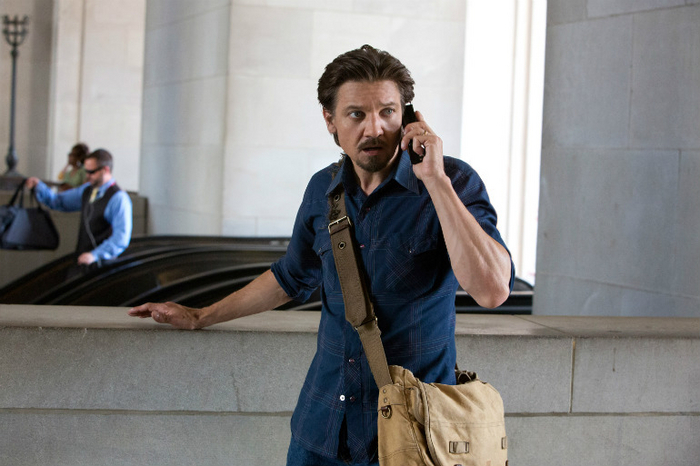 Jeremy Renner in Kill The Messenger. Gary Webb, the journalist in question, was then embarrassed and destroyed by, not only the CIA but ,fellow journalists and his editorial staff. This movie sticks close to the facts, and perhaps to a fault, of the true story of Gary Webb, a journalist who would not give up on the biggest story of his life. The film is directed by Michael Cuesta, who in the early noughties gave us L.I.E, then 12 and Holding before transitioning full time into television. He did really good work on Six Feet Under and Dexter before wowing everyone with the pilot for Homeland (which almost works as a mini feature itself and is really the highpoint of the series ). His work on Homeland probably got him the job on this conspiracy themed biopic. Set in 1996, the movie starts with Webb (Jeremy Renner ) stumbling across a story about a drug dealer in south central Los Angeles being supplied drugs by the CIA. With a little digging he finds some truth to the claim. He then proceeds to investigate and publish the entire story proving the CIA was implicit in the trafficking of drugs into the United States. The second half of the movie is Webb dealing with the backlash from, not only the government, his peers, and his own family. Disappointingly, this is very much just an OK film. The easy comparison is to Billy Ray’s surprisingly great Shattered Glass from 2003 or to Michael Mann’s 1999 film The Insider, but it does not come close to either of those. Part of what lets the movie down is its televisual feel from a director who has been working so long in TV that he seems to have lost his cinematic edge. The script is also poor and certainly does not allow Renner to get any meaty scenes like in Shattered Glass or The Insider. Since he emerged in The Hurt Locker in 2008 he has really struggled for a vehicle which uses him well. This film should have been a breakout role for him, particularly with him attached as a producer, but we will have to keep waiting for Renner’s next great performance. I would not really recommend going to see this in the cinema, but it’s maybe worth a watch some weekend night on RTÉ 2. When Webb is exonerated during the credits we are informed that world media virtually ignores it due to the Monica Lewinsky scandal. The fact this film is being released this time of year condemns it to the same fate. This is a good film, but there are plenty of better films in cinemas right now.